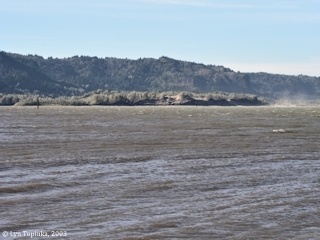 Click image to enlarge Sand Island as seen from Bridal Veil, Oregon. Image taken October 11, 2004. 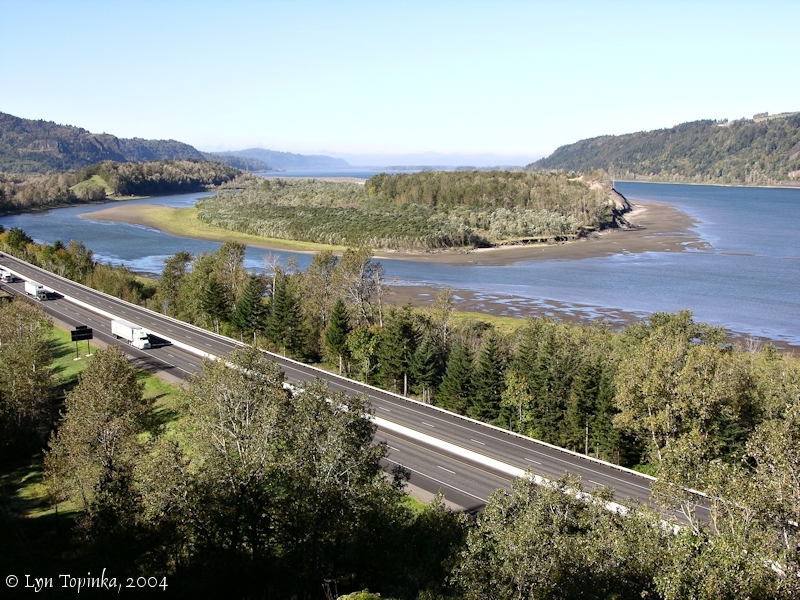 Throughout history, being a very descriptive name, there have been numerious "Sand Islands" up and down the Columbia River, including a Sand Island at the mouth of Baker Bay, a small Sand Island across from St. Helens, Oregon, and this Sand Island located upstream from Rooster Rock. At one point in history Tomahawk Island, just east of Hayden Island was called "Sand Island". There is also a "Sandy Island" located across from Goble, Oregon and Kalama, Washington. 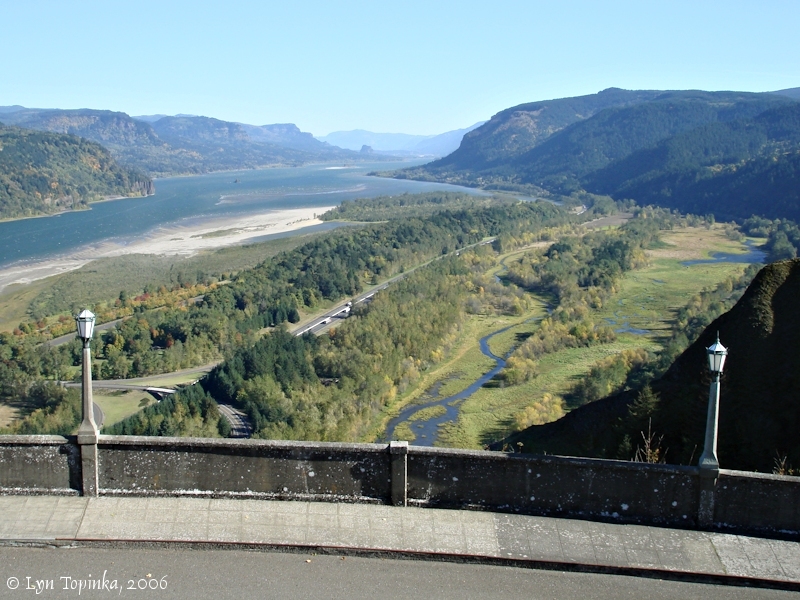 Good views of Sand Island can be had from the overlook at Bridal Veil, Vista House at Crown Point, and a river view from Dalton Point. 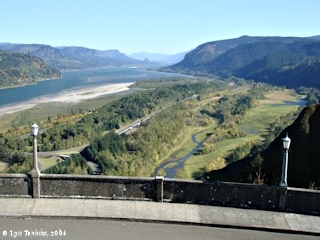 Click image to enlarge Columbia River Gorge, looking upstream, as seen from Vista House, Crown Point, Oregon. The Historic Looking at the Columbia River Highway in the foreground and Youngs Creek (Shepperds Dell) on the lower right. Sand Island is in the middle ground with Dalton Point jutting into the Columbia. Phoca Rock is just visible on the left and Beacon Rock is in the background. Image taken October 21, 2006. 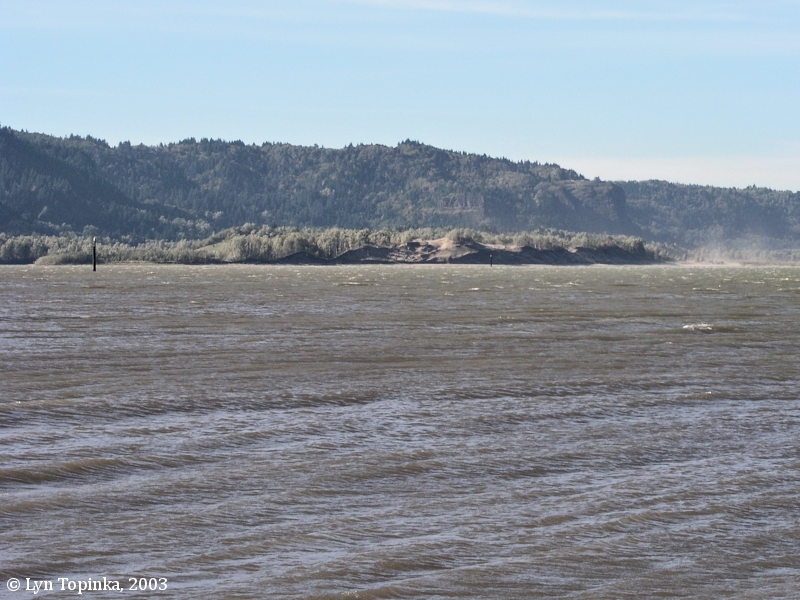 Click image to enlarge Sand Island from Dalton Point, Oregon. Image taken October 25, 2003.